When I founded Team Jo Epilepsy Foundation I never thought I would have got this far or that it would have turned out as amazing as this journey has taken me on. The first part of this was when I organised a “spring fair”, many people helped me from the setting up the hall to refreshments and cakes. We had entertainment of live music and also a special man names Reg, or Reg E Mental ! The day of the spring fair I was struggling a bit, I had medication, blankets, and oxygen at the ready, bit I kept going on. Reg was amazing, funny and despite whatever pain I was in, his act had me smiling. I want to say a huge thank you to Reg as I reflect upon that day and tell you more about him. A party spent with Reg E. Mental is not only exciting but a great deal of fun too. His performance makes the audience part of the show. Once described as the “anytime pantomime” he has a first class reputation for providing honest to goodness children’s and family entertainment and believe me this is true. With Reg around there will be happy, smiley and giggles faces everywhere. Children and adults too! Reg can be seen throughout the year performing his Children’s Magic and Comedy Show in his own unique style at all manner of events including schools, fetes, promotional events, holiday camps, play schools and private functions including birthdays, weddings and christenings.Reg E. Mental is also available for Family Cabaret, Close Up, Mix ‘n’ Mingle, and Walkabout Magic, for Weddings, Birthdays, Corporate Events, Promotions etc. Reg E. Mental is a full time entertainer, having turned professional in 2000. 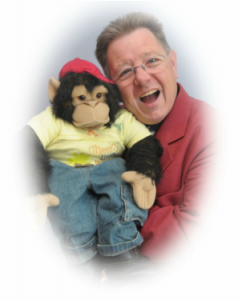 With many years experience of children’s and family entertainment he can provide a show exactly to suit you, from a party at home or Village Hall to theatre and arena events. Reg E. Mental has Entertainers Public Liability Insurance for up to £5,00,00 an Enhanced CRB Check and all electrical equipment PAT Certified. I would recommend him to everyone.